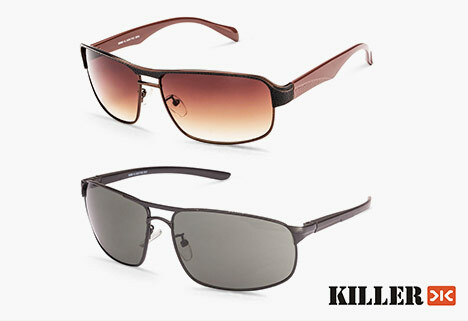 Killer is a brand that offers smart and sassy eyewear set to complete the ultimate professional look, perfect for men and women. The Killer eyewear is refashioning the corporate trend by adding glamour and chicness. The collection of eyeglasses and sunglasses ranges from the classic geek rectangular frames to bold colorful designs. Made for all-day wear, the Killer eyewear is crafted with the best materials and technology to meet the needs of the ambitious professionals. They are the perfect combination of elegance and convenience.